FACT CHECK: Did an NFL Player Burn an American Flag in a Locker Room? Did an NFL Player Burn an American Flag in a Locker Room? 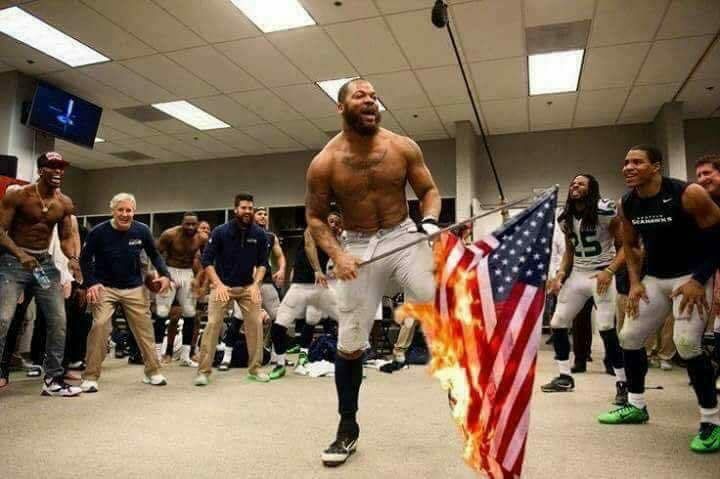 A doctored photograph purportedly showed a member of the Seattle Seahawks setting a U.S. flag on fire. A photograph shows a Seattle Seahawks player burning an American flag. This image, posted by the “Vets for Trump” Facebook page on 28 September 2017, has been digitally altered, but offered up as genuine. However, while Bennett has kneeled in protest and although he has appealed to change the culture, he has not burned an American flag to make his point.